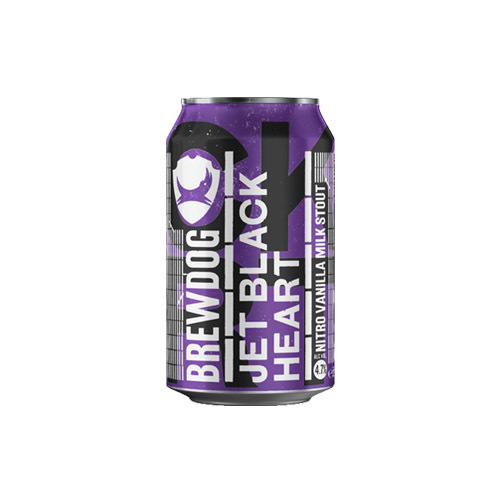 We’ve served up Jet Black Heart in our bars on nitro for some time now and we wanted to bring that decadent mouthfeel and thick creamy head to you, in the comfort of your own home. The nitro accentuates everything you ever loved about this beer in its original form. The roasty malt flavours of coffee and chocolate play off the nitro in perfect harmony alongside a gentle vanilla hit. Along with the nitro, flaked oats and wheat add to the velvet mouthfeel. Magnum and Sorachi Ace bring a berry & citrus fruitiness that amplifies the chocolate character of this inky leviathan. 1) Invert can 5 times. Open can. 2) Pour hard into a pint glass. 3) Settle for 60 seconds. Enjoy!